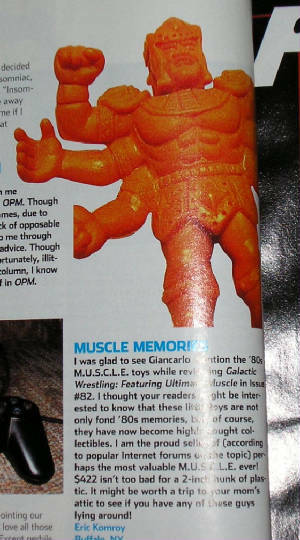 This section is for all of the other M.U.S.C.L.E items that I like, but doesn't seem to fit anywhere else. 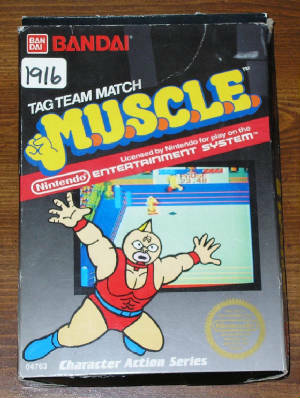 This is the front of the box for the NES M.U.S.C.L.E. video game. I bought this just for the box. It’s a rather bland box, but I still like it because I remember staring at it longingly as a kid. The back of the box isn’t any special either. I never stared at the back of the box, so there’s no emotional attachment here. 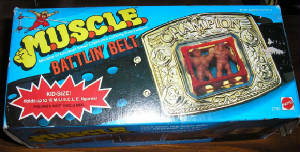 Mattel released the belt with two different packaging variations. This is the slightly less common closed box version. X-2. This figure was long thought to be another Super Rare. 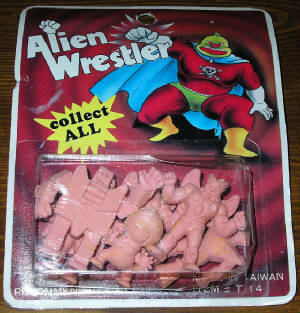 It turns out that he is from a Kinnikuman spin-off series called “Ramen Man.” Perhaps our other Super Rares are from other spin-offs? 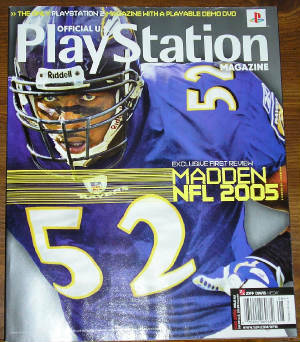 In the August 2004 Playstation Magazine (Issue #83) published a letter from Eric Komroy. 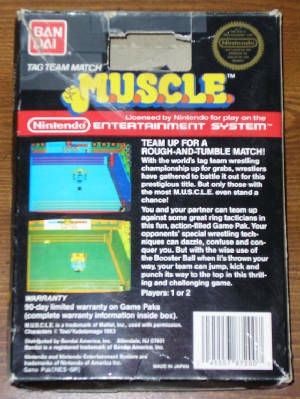 After they had featured an article, in the previous issue, on the new Ultimate Muscle video game Eric wrote into the magazine. He told them about how he had sold a SHA for $422. Note that he is from Buffalo, NY. 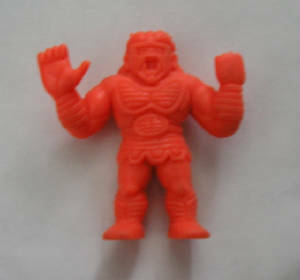 This is a bootleg M.U.S.C.L.E package that I got on eBay. I loved the cheesy packaging, but was especially interested in the Lightbulb figure. There was a time that this figure was also thought to be a Super Rare. I thought it was cool to have him sealed in his bootleg packaging. 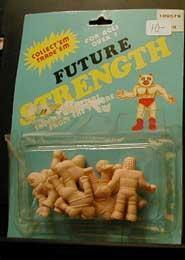 This is another bootleg M.U.S.C.L.E. package. While the figures aren’t as noteworthy the packaging is equally cheesy. 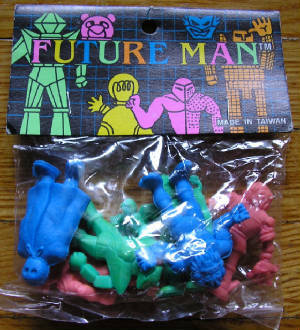 This is another bootleg package called Future Man. I have mixed emotions about labeling this package as “rare.” It is certainly something I don’t ever remember seeing at retail, but it has turned up on eBay regularly and auctions tend to have several packages.